Binge drinking (more than 4 units at any one time) is bad for your health and should be avoided. In other words you should not save up all your units for the week and drink them all in one go. Alcohol plays a part in many of our lives, yet it’s surprising how little people know about its contents. In Northern Ireland Alcohol appears to be the DRUG of choice, a glass of wine with dinner, a beer after work, a cocktail in the sunshine on holiday. Alcohol makes an appearance in so many parts of our lives; it can be easy to forget that, like many drugs, it’s addictive, both physically and psychologically. What may seem like just a drink or two most evenings can do a lot of harm to your body, inside and out. You might notice that you’re building up a bit of a spare tyre, if you drink alcohol regularly. That’s because there can be a lot of calories in alcohol. Or perhaps your mood can be a bit low in the mornings. Maybe your skin’s not as clear as it was. And we all know how drinking too much can lead to decreased sexual performance, especially for men. Cancer of the throat, oesophagus or larynx. Regularly drinking two large glasses of wine (ABV 13%) or two pints of strong lager (ABV 5.2%) a day could make you three times as likely to get mouth cancer. What are the recommended limits of alcohol? Alcohol in moderation can be part of a healthy balanced diet; however it can easily be misused The government’s unit guidelines state that there’s no safe level of alcohol consumption. Unit guidelines are the same for men and women and both are advised not to regularly drink more than 14 units per week. Stay in control: Staying within the government’s alcohol guidelines on a night out is much easier if you stay in control of what you drink. Opt out of rounds. Drinking in rounds can make you drink a lot faster than you’d like or realise. Opt out or try buying drinks with a smaller group of friends instead. Watch out for cocktails. They can contain more alcohol than you might think. Spread out your drinks throughout the night. This will help your units go further. Try smaller measures. Rather than sticking to pints, try sipping halves, go for a bottled beer or if you are drinking wine, opt for a small glass. Go diluted. Try a more diluted alcoholic drink such as a spritzer or shandy. Space with soft drinks. Have a soft drink or two with each alcoholic drink to help you stay hydrated. The Department of Health recommends that people follow sensible drinking guidelines to control and monitor the amount of alcohol they drink and to ensure that they are not at risk of binge drinking. Watch your weight Alcohol is heavy on calories. And with 682 calories in an average 13% bottle of wine, cutting down is a great way to stay in shape. *Calculated using Change4Life's Drinks Checker. Sleep soundly drinking less means that you get more high quality shuteye because alcohol interferes with the normal sleep process. Reduce stress: Some people drink to relax, but in fact excess alcohol can actually make you feel more stressed because it’s a depressant. 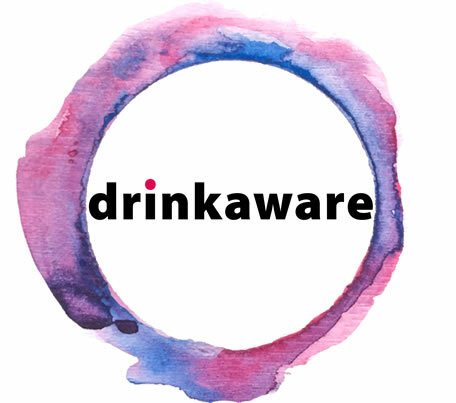 Avoid hangovers Keep to the government’s low risk alcohol unit guidelines and you can kiss goodbye to a sore head, dry mouth and that dreaded “what on earth was I thinking last night?” hangover feeling. Stay healthy for longer Cutting down can be great news for your long-term health. Drinking less alcohol reduces the risks of alcohol-related cancers, diabetes and heart disease. It puts less pressure on the liver too. A drug is any substance other than food, that when inhaled, injected, smoked, consumed, absorbed via a patch on the skin or dissolved under the tongue causes a physiological change in the body. Drug misuse can be harmful to your health in both the short term and the long term, and could possibly lead to addiction. Drugs are normally put into one of three categories, depending on how dangerous they are and the impact they have on society and not necessarily the individual. Class B: these include; cannabis, mephedrone and some amphetamines. Class C: these include; ketamine, GHB, anabolic steroids and some tranquilisers. Psychoactive substances (also known as legal highs) have also become available and widely popular within the UK. It is often not clear what is contained within individual products. The quality and content of such products varies enormously and the name used may not bear any relation to their actual contents. There is also a “Temporary Class Drug Banning Order” to tackle the issue. Drugs can be broadly divided into three categories based on their main effects. They may act solely as stimulants, as depressants or as hallucinogens. In addition to these 3 broad categories, each particular drug has its own specific effects and risks, some drugs are quite new and their harms may not yet be fully known. Sometimes drugs don’t contain what you think they do, for example, PMA and mephedrone have been sold as MDMA/ecstasy.